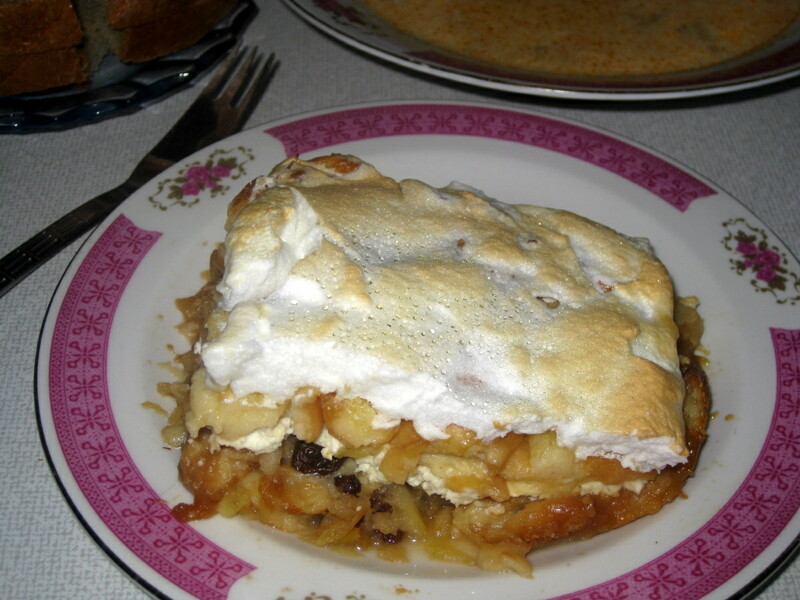 Recipe for zemlovka, Slovak baked bread pie filled with apples (or pears), raisins and farmer's cheese and topped with a layer of beaten egg whites. 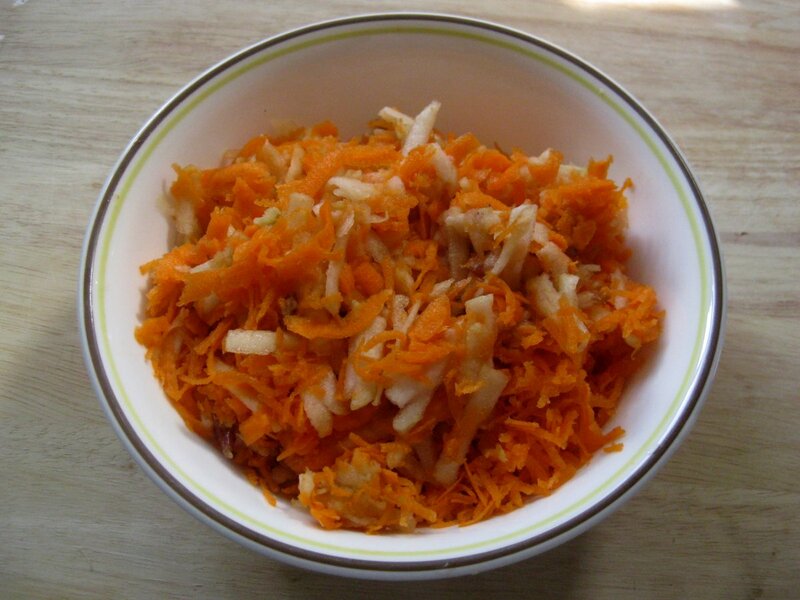 Recipe for Slovak apple-carrot salad. 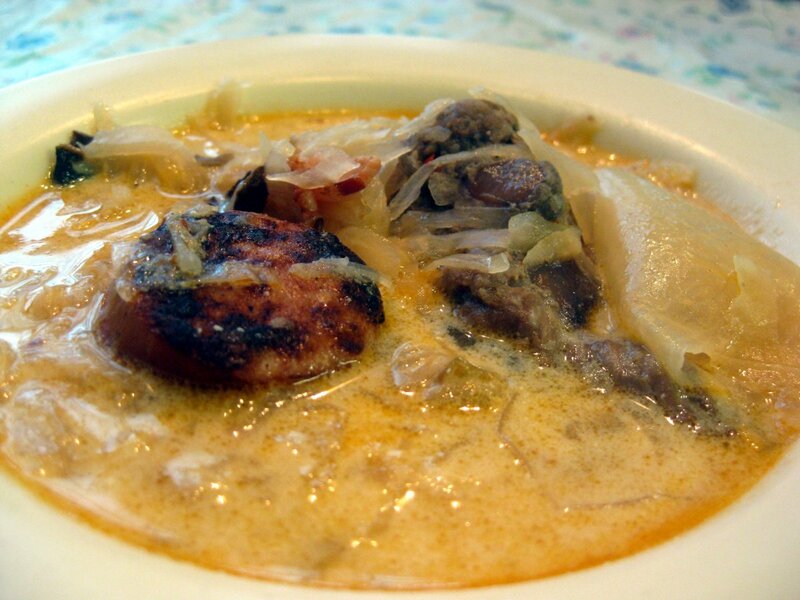 As the name suggests, it consists of apples and carrots. 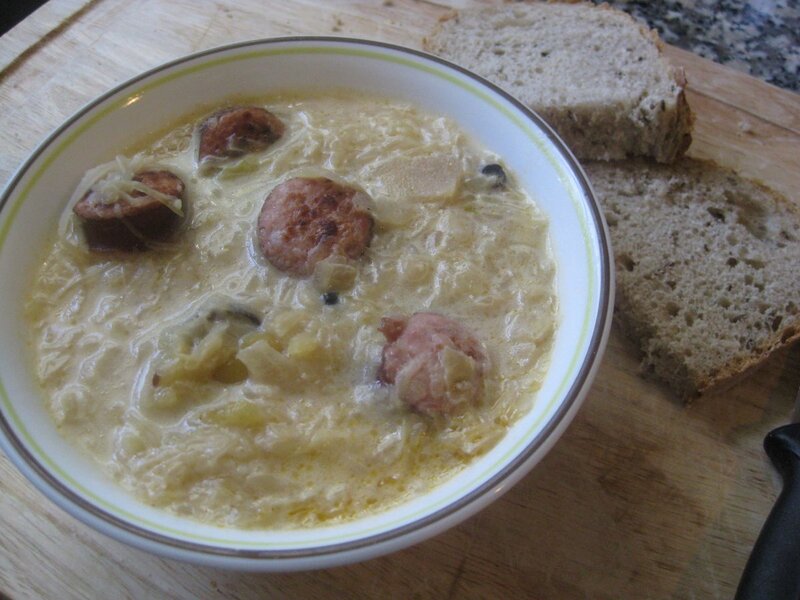 It's very easy to make and quite delicious!